Digital Marketing is yet another domain where you can think about enhancing your career. If you are already a working professional and frustrated with your current job and growth, then Digital Marketing is surely what you have been searching for. With India’s plan to turn Digital will be a revolution in Indian economy. India is ready to change, but are you ready? Yes, Digital Marketing will bring around 5 Lakhs+ jobs opening in 2017 itself. Earlier in 2010 there were very few companies in India who were focused on Digital marketing strategies for their offline business, but now in 2017 the scenario is changed and almost 65% companies are selling their product and services online. Indeed a revolution in itself. Without Online marketing, traditional marketing is incomplete and ineffective. It’s all visibility that makes a company or product “BRAND”. According to latest Survey 95% + customers read online reviews before making any purchase, this is what most companies are online for and this will provide a chance to open up 5 Lakh+ job openings in 2017. Every day offline companies are switching to online marketing as they know the power to sell online. Although, Digital Marketing in India is just waking up as there are very few resources to learn Digital Marketing. Lately, we have seen many companies who shifted online have fallen down with heavy loss. What was the reason behind it? The Answer is straight and simple: “Lack of proper Digital Marketing strategies and planning”. If you want to start a new career in Digital Marketing or you want to start your business online then you focus on these below-mentioned points. Who should join Digital Marketing Training Program? 1. Is your objective for your business growth or for your start up? 2. You are a fresh graduate and seeking a high paying job? 4. Back office etc. and you are unsure about your future and career graph? 5. You are retired person and have a passion for writing articles? 6. You are a housewife and want to earn an extra income working from home? Which factors you should consider before joining any Digital Marketing Training Institute. 1. How much time can you dedicate for Digital Marketing Training Institutes? If you are a college going, businessmen or a housewife what is the perfect available slot you have in your daily timetable? How much time can you dedicate to learning Digital Marketing from any top digital marketing institute? There are many institutes which can offer you digital marketing batch timing as per your availability and ease. Most of the institutes provide 2 hours per day batch on weekdays and 6 hrs. on weekends. Confirm your batch timing before you join any training institute. 2. What is the maximum course fee you can afford as a fee? There are many Top Digital Marketing Training Institutes In Delhi who charge course fee ranging from INR 20,000 – INR 55,000. (Including Taxes). Being costly always don’t mean that the Institute is of high quality. Lots of Digital Marketing institutes in Delhi charge average of INR 35,000. Digital Technology Institute is among Best Digital Marketing Training Institute for 3 months of advanced digital marketing training course. Worth a try! 3. Does that Digital Marketing institute provides practical training? Digital Marketing training modules are 75% practical based and need hours of dedicated self-learning under best and experienced digital marketing trainer from industry, before joining any Digital marketing Institute meet the lead Digital Marketing trainer and check his/her background profile and his achievements. Check his certifications and profiles he had worked upon past his experiences. The best way to judge a trainer is via his confidences and his communication skills. A trainer with great communication skills is best counted digital marketing trainer. 4. Does that Institute have best Digital Marketing trainers? 1. How many years of experiences the trainer have into digital marketing? 2. How many personal or professional clients he has served yet? 3. Do the trainer have a good communication skill? 4. Is the trainer Google / Bing Certified and updated with his certificates? 5. Is the trainer updated with latest digital marketing trends? 6. Do the trainer have any blog and how long have he been working on it? 7. If he is an Affiliate marketer, then how much he earn himself? 5. Do they provide placement support as well? Placement and jobs should be your main priority to join any digital marketing training institute. Join a digital marketing institute with good placement records and who have trained and placed their students in best companies in digital marketing industries. Most of institute’s don’t have good placement records so stay away from them. 6. What is their certification value in the Digital Marketing industry? 1. AMA (American Marketing Association) Certified Professional Marketer. 3. Microsoft Bing Ads Certification. These are some of the important parameters which will help you to choose best digital marketing Training institutes in Delhi. 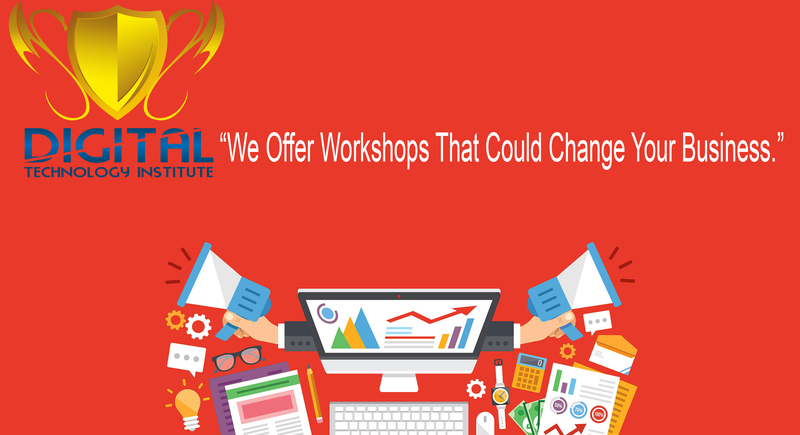 Suggested Read: Why Digital Technology Institute is among Top 10 Digital Marketing Course Training Institute in Delhi? How to Steal Customers from Your Competitors ? What Are The Google Webmaster Tools Guide for Beginners?